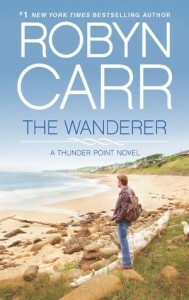 Review: The Wanderer by Robyn Carr – Escape Reality, Read Fiction! 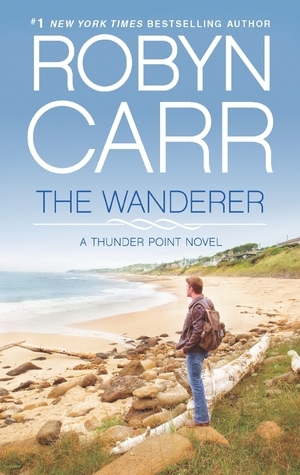 There isn’t just “one” wanderer in Robyn Carr’s The Wanderer, there are actually two. Hank Cooper and Sarah Dupre. Sarah has some pretty good reasons for her wandering. Cooper, maybe not so much. He’s just one of those guys who has a hard time putting down roots. And The Wanderer is kind of a “slow-build” romance, but that’s okay. In spite of what sounds like some pretty nasty weather, part of the point of the story is to understand what makes Thunder Point on the coast of Oregon a special town, and why Cooper finds himself staying, and staying. In spite of his original intent. He falls in love with the town first. And so does the reader. The usual type of romance comes later. And then there are two of those, too. One has been even longer in coming than Cooper and Sarah’s. And so it should be. Thunder Point seems to be a place where everyone gets a second chance. Cooper is in Thunder Point because an army buddy has died just before they were supposed to meet up for a vacation. They’ve both been out for quite a while, but they kept in touch. Cooper wants to see where Ben ended up, show his friends that someone cared. He discovers that there are suspicions surrounding Ben’s death, and that Ben left his property to him. A lot of property, and a cryptic message to take care of things. Cooper also discovers that Ben took care of a surprising number of things and people around Thunder Point, and now that Cooper has taken over his beachfront deli and bait shop, taking care of all of that has now become Cooper’s job. If he wants to take it on. Starting with stepping between young Landon Dupre and a whole posse of football players who are planning to beat him up. Again. Landon leads to Sarah. Looking into Ben’s death leads to the Deputy Sherriff. Taking care of things leads to getting involved with the people of Thunder Bay. But the beachfront land he’s inherited is worth a whole lot of money. Should he take the money and run, just like he’s always done? Or does “taking care of things” mean it’s finally time for him to stay? Escape Rating B+: It’s surprisingly easy to get involved with the small-town life of Thunder Point as Cooper gets involved. The slowly-building romance between Cooper and Sarah doesn’t even start until one-third or more through the book, and I was more than fine with that! The introductions of each character as Cooper meets them and then their stories spinning off just worked. The secondary love story between Deputy Sherriff McCain and his best friend was almost heartbreaking at the beginning, but I was definitely rooting for Mac to finally get a clue! Cooper’s involvement with Sarah doesn’t initially begin with Sarah. He starts out befriending her younger brother Landon, who definitely needs a friend. The portrayal of high school bullying and how Landon was trying to ignore it in the hope it would go away felt true to life. Also the unfortunate but highly likely scenario that the locals would side with the long-resident family against the new guy. Sarah initially lashed out against Cooper because she was concerned about his motives. Why was a man in his mid-30′s befriending her 16-year-old brother? She had serious trust issues and with good reason, however mis-aimed they might have been. Even as their relationship changes, Sarah continues to try to keep it as less than it is to protect herself. She’s been burned, and badly, before. 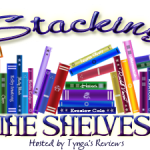 In addition to the romances, there is also a suspense subplot involving Ben’s death and Landon’s bullying that went just a bit over-the-top. But I had a terrific time visiting Thunder Point, and I’m looking forward to more of this series, especially since I came in with Cooper at the beginning! 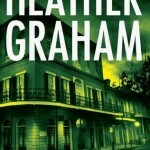 This review originally appeared at Book Lovers Inc.